The online version of the Alexander Graham Bell Family Papers at the Library of Congress comprises a selection of 4,695 items. This presentation contains correspondence, scientific notebooks, journals, blueprints, articles, and photographs documenting Bell's invention of the telephone and his involvement in the first telephone company, his family life, his interest in the education of the deaf, and his aeronautical and other scientific research. This exhibit traces the development of technologies used by offices for two purposes, communications within an office or office building, and communications between an office building and the outside world. It is reasonable to assume that, before our story begins in the mid-1800s, office boys and messengers were used for both types of communication. ATCA is the largest telephone collectors organization in the world. Chartered in 1971 as a non-profit corporation by the state of Kansas, its over 1500 active members are located throughout the United States, Canada, Europe, and Australia. When one thinks of an antique telephone, the image of an old crank wall phone generally comes to mind. Since its invention in 1876, the telephone evolved along with the technology of the time. The uniqueness of the old telephones has become very attractive and many people have found these to be interesting collectables. The pages on this site provide links to the history of the telephone and the histories of a number of current telephone companies. This Site represents our continued efforts to preserve some of the historical Bell System documents in digital format and to make these hard-to-find documents available to historians, collectors, students, teachers, hobbyists and other non-commercial, non-profit users. 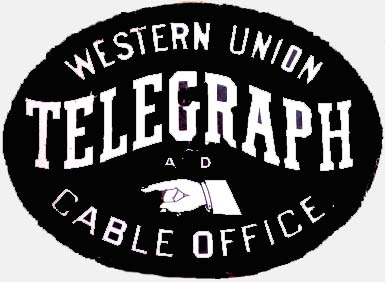 The files on this Site are for historical archive purposes and use by collectors of old Western Electric telephones to repair and test phones in their collection. This Site contains links to complete BSP manuals and also selected "sections" from various BSP manuals of Western Electric telephones and other Western Electric products and parts. These sections generally have schematics, mechanical drawings, photos and technical information that was used by the "telephone man" of the Bell System days to install, test, and fix Western Electric telephones and associated circuits. This Site contains information about the famous Bell mark and Bell Symbol logo. The Regional Bell Operating Companies (RBOCs) - Ameritech Corporation, Verizon Communications Inc., BellSouth Corporation, Cincinnati Bell, Inc., SBC Communications Inc., Southern New England Telephone Company, and Qwest Communications International, Inc. - maintain this Site for your personal information, education, and entertainment. The Ericofon, made by the L M Ericsson Company of Sweden, is perhaps one of the biggest steps forward in telephone design. World War II had produced a number of new materials. From Plastics to lightweight ferromagnetic materials, the door was opened for a new era in telephone development. Most of the telephones shown here were manufactured by Western Electric for the American Telephone & Telegraph Company and the Bell System. Before smartphones and iPads, before the Internet or the personal computer, a misfit group of technophiles, blind teenagers, hippies, and outlaws figured out how to hack the world's largest machine: the telephone system. A site devoted to building signs bearing the remains of New York City telephone numbers in the old 2L+5D format. Commemorates the Western Electric's Hawthorne Works facility in what is now Cicero, Illinois. In its heyday in the mid-1950's, Western Electric employed nearly 45,000 at its Hawthorne Works. Telecommunication is the ability to send information over long distances. It's the way we communicate with each other, whether we�re down the street or across the world. Telecommunications have been around since the earliest days of humanity, though the technology has changed a lot since then. Looking back, we can see how far communication has come. World-Class Education for Communication Professionals USC Annenberg has worldwide recognition as the leader among communication schools, setting the standard for communication professionals. The faculty have deep academic expertise and extensive professional experience, uniting communication research and theory with their day-to-day implementation in organizations around the world. A phone phreak is someone who loves exploring the telephone system and experimenting with it to understand how it works. Phone phreaking got its start in the late 1950s. Its golden age was the late 1960s and early 1970s. Phone phreaks spent a lot of time dialing around the telephone network to understand how the phone system worked. John K. La Rue's Museum of Telephony, part of the American Museum of Telephony, is dedicated to preserving telephone history. The museum contains telephones and related items from the dawn of telephony (late 1800s) to the present day. One of the Museum's goals is to have working telephones from all eras. Many Mid-20th Century phones are already connected to the working Step Switch or XY Switch in the Museum's vintage "Central Office." The Museum also includes a technical library which is full of telephone related books, catalogs, technical journals and practices. As telephone collectors feverishly pursue the potbellies, wood wall magneto phones, one each of anything made by Western Electric and all the other treasures documented in the collector publications, we often trip over things we weren't looking for, or unusual variations that give us lots of pleasure. THG was formed in 1986 with the aim of bringing together all those engaged in the study, preservation and collection of the heritage of communications. The mission of The THG is to preserve and publicize the heritage of the telecommunications industry in the United States. TCI is an organization of telephone collectors, hobbyists and historians who are helping to preserve the history of the telecommunications industry through the collection of telephones and telephone related material. Our collections represent all aspects of the industry; from the very first wooden prototypes that started the industry to the technological marvels that made the automatic telephone exchange possible. A website dedicated to assembling a master list of historic two-letter telephone exchange names -- PEnnsylvania, SYcamore, KLondike, etc. Welcome to the Telephone Tribute Website! You'll find all sorts of telephone related web pages here on the history of the telephone, technical information, research resources, human interest stories, clubs, pictures, sound files, links, etc.